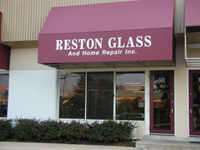 Reston Glass Corporation is well known in Northern Virginia for providing the highest quality workmanship. 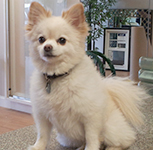 We take pride in providing excellent customer service. Always reliable and efficient, Reston Glass Corporation is a company that customers have grown to trust for all their Commercial and Residential glass needs. This holds true wherever you live, be it throughout Prince William County, Fairfax County, Loudoun County, and all surrounding areas. Reston Glass has a steady pattern of substantial growth due to its contemporary and innovative methods in production, installation and service. 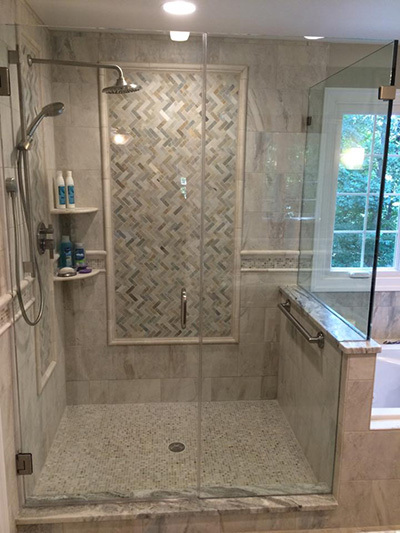 All of our shower doors and tub enclosures are built by a unique group of people, professionals in their own right. With hundreds of collective years between them, these highly trained experts are devoted, talented and dedicated to producing "that better product". Read a February 2017 Washington Post Home & Garden article. 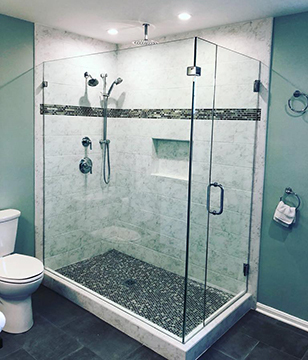 Nothing adds to a room’s size and available light like a mirrored door that is custom-designed especially for your bedroom, or to have custom shower built for your bathroom. The Reston Glass Corporation awaits your call. No job is too big or small! If you live in the McLean, Leesburg, Great Falls, Sterling, Broadlands, Ashburn, Brambelton, or Loudoun county area you most likely have a neighbor we have serviced.